This scratch built structure cost less than five dollars to build and produced several weekends of modeling enjoyment. The simple box shape was not that difficult to build using sheet styrene. The end result was something unique, something that ‘fit’ with the layout, and wasn’t something I could ever find a kit for anyway. I was browsing through the structure listings of one of the larger online suppliers. As I scrolled through the pages, I was particularly struck by how expensive the plastic structure kits were. I’m not talking about intricate craftsman kits but rather routine, average size, injection molded kits priced in the $40 to $60 range. Putting together a cluster of a few of these would certainly be out of reach of your typical teen on an allowance or retiree on a fixed income. Cost aside, there are other issues that you run into with many plastic structure kits. 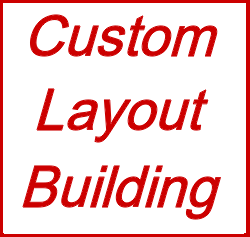 As a custom layout builder I assemble a lot of them throughout the year. Frankly, I’m astounded and appalled at how poorly made many of them are. If I make my living building models and am struggling with a kit, how is a sixteen year old just getting started going to fare? When you plop down $60 to $100 for an average kit it is reasonable to expect that the parts not be warped, that the parts fit, and there by limited flash. Often that is not the case. 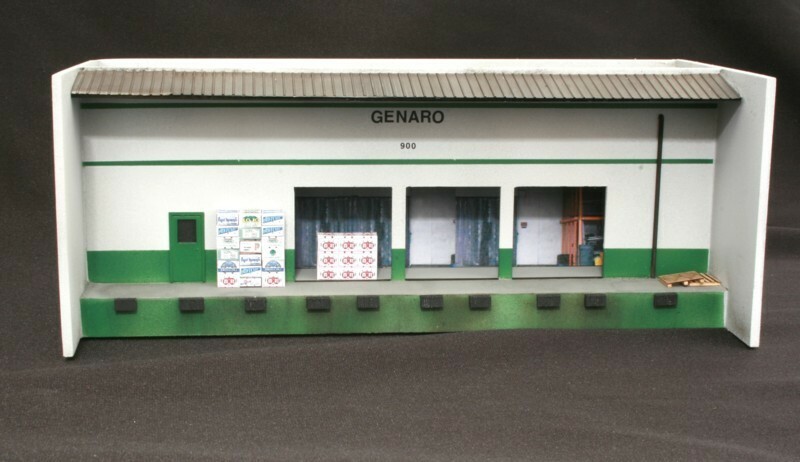 In addition, commercial kits have large production runs. 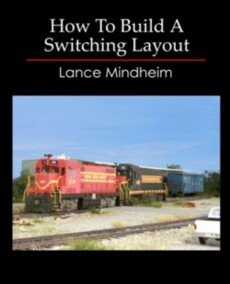 If you populate your layout with them, it will look pretty much like everybody else’s layout. The New River Mine, ADM Grain Elevator, and Atlas Interlocking stand out in any photo. I’ve made a point before that I firmly believe that being of modest means (or close to being broke) is an advantage in our hobby. Having limited funds means you have no option but to learn to make things for yourself rather than purchase them. In other words you will be forced into learning to be a model builder. Long term it’s a blessing. Building a structure from scratch is much easier than one would expect and is often a matter of getting over the mind set that it is difficult. Like anything else it takes practice but after a half dozen attempts you’ll get into a groove. You will often find that scratch building is EASIER than building a kit with poorly cast parts. -Extremely low cost. Once you have a few rudimentary tools and a stock of styrene, a typical scratch built structure is probably a quarter the cost of a kit, maybe even less. -You get exactly what you want. You aren’t limited by what is available on the kit market. -Unique look. Scratch built structures will make your layout stand out as unique and have a more cohesive look since the model railroad won’t be covered with something ten thousand other people own. If you want to get started, I suggest picking a simple, smaller structure. Work from photos. Accept the fact that your first attempts may not look that great and be willing to discard them as ‘practice’. In terms of tools you won’t need much: sheet and strip styrene, perhaps some window castings, X-acto or razor blades, a straight edge, and some solvent. Rather than purchasing commercial hobby glue I just use lacquer thinner from a paint store and an old paint brush. Rather than sitting on the sidelines saving up for a structure kit that won’t be that great anyway, take control and jump into the scratch building game.